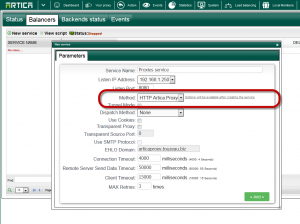 You want to use 2 Artica proxies and balance them trough the load-balancing service. 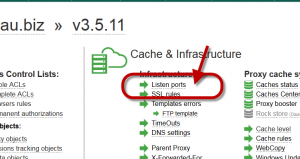 Enable the proxy protocol on the Artica proxy. 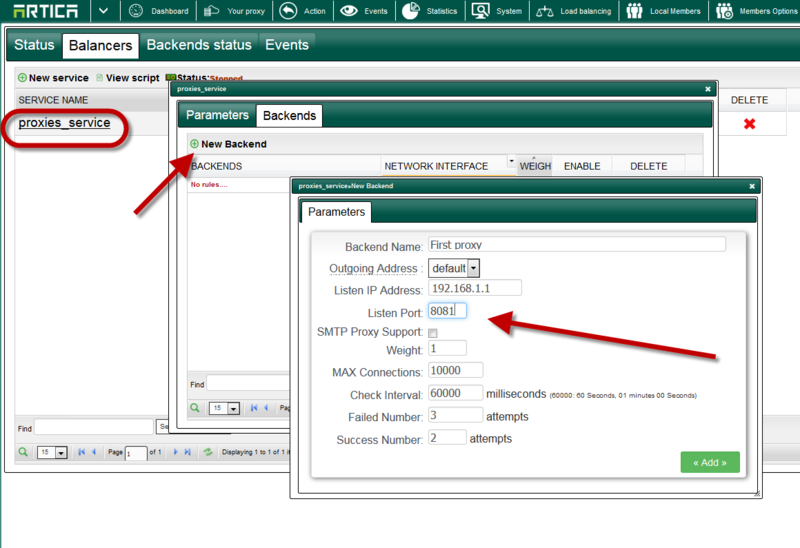 Activate the Load-balancing service for proxy. 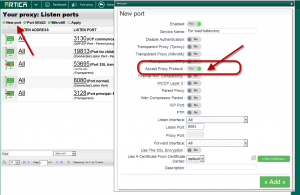 Create a dedicated port on each Artica Proxy server. Click on Listen ports configuration. You will see the “Accept Proxy protocol” in blue in the main table. Click on Apply to make the port available. On the balancers option, create a new service. 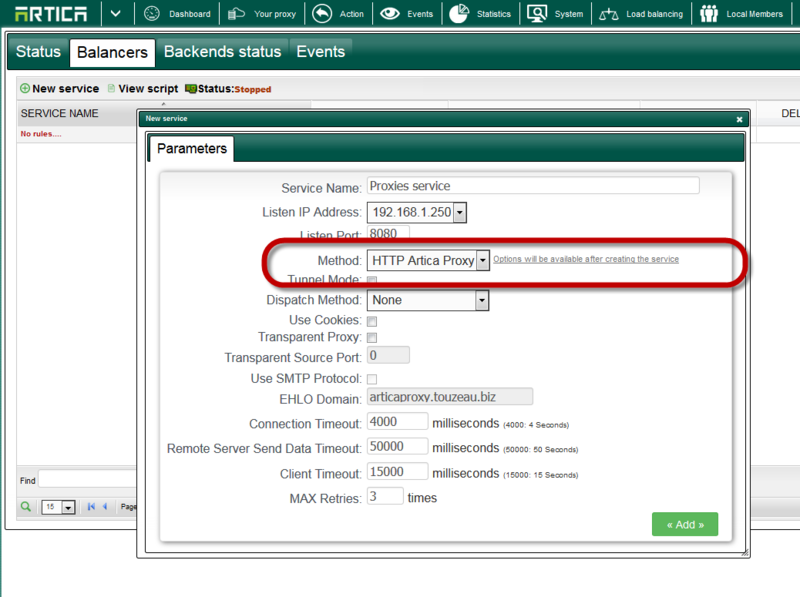 On the method, choose HTTP Proxy. 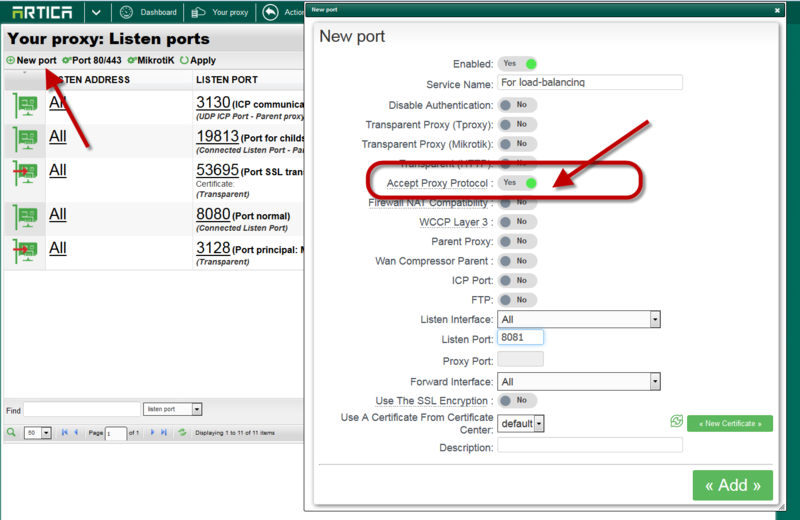 Add the remote proxy ip address and the remote Proxy service port with “Accept Proxy protocol” enabled. 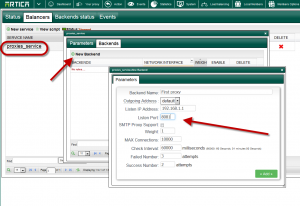 Perform this option for each proxy you want to load-balance.